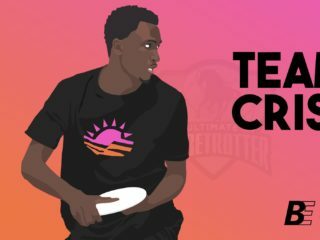 This afternoon the United Ultimate League announced their plan for a Mixed Pro Ultimate League in 2019. We sat down with league organizer Todd Curran to find out more. Skyd: Congrats on announcing an ambitious and exciting league for the sport, Todd. Why UUL? Why now? How is Savage connected? Todd Curran: I began thinking of how great it would be if a pro mixed ultimate league was created a few years ago (about the time when the MLU shuttered its doors). I began thinking of all the ways a league like that could be presented, supported, and turn a profit. Fast forward to 2017 when Savage began working with the Quidditch Premier League. I fostered a relationship with its founder Jack Lennard and worked to help get their inaugural year off the ground. I attended the QPL Championship and it hit me: this format could work for professional ultimate. The presentation was stunning on a year one concept, and it propelled me to dive into my mixed league idea again. I asked Jack what helped his success and he suggested being as open and communicative with players as possible. United is definitely the term we needed for the league. Gender Equity has been a huge discussion that took the ultimate community by storm. I began seeing the discussions arise about three years ago. 2017 definitely felt like a movement and it lined up well with the idea of starting a mixed league. Last fall I officially decided to create the United Ultimate League. I began discussing the league with my inner circle and started formulating plans. With every conversation, it moved the league closer to creation, so I started opening up lines of communication with others in the Ultimate community. I spoke with elite players (pro and club), gender equity supporters, community leaders, and USA Ultimate. Today, I am proud to announce the league to the public! As to why Savage, it’s the official apparel provider for the league, but the UUL is an independent organization. I’m pulling from my experience as the owner of this company and my involvement in the sport for the past 15 years. But I want to be clear that it’s not a Savage league. How will UUL be different from the AUDL and USA Ultimate for that matter? What does UUL look like to the players and to fans? The UUL has been designed to be a league that the community can stand behind. I want it to cater to the 50,000 active members of USA Ultimate. By focusing on the community, we can expand the league together. The UUL is different from the AUDL in many ways. One way is that the UUL season is from mid-April through June. This allows players to play in the UUL and not jeopardize their USAU club season. Teams are owned by the league and not independently. Each team will only host one home game each season. 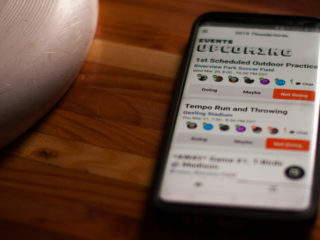 This allows for the home team to focus on one single event. It’s much easier to sell 500 tickets to one game as opposed to 500 tickets to 6-10 home games. All four teams in each division will play at one host team’s event. Games will be played at 5pm and 7pm. This keeps costs low by only needing to rent one stadium a weekend. USA Ultimate Observers will be used in UUL along with the USA Ultimate rulebook. UUL is a USA Ultimate Sanctioned League. All UUL players must be USA Ultimate members and USA Ultimate will be providing insurance to our league and its players. Mixed Gender Play — Each UUL team will be made up of 24 players (12 male and 12 female). Teams will travel with a game-day roster of 18 (9 male and 9 female). 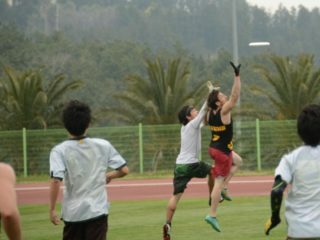 How’s it different from USA Ultimate? Players’ expenses will be covered. Will players be provided with equipment and expenses covered? Will games be streamed? The league is designed to be a “no pay to play” league with a goal of player compensation. Uniforms and game day transportation will be covered for players along with a Players’ Replica Jersey Program. Players will receive a percentage of replica jersey sales and 5% of each jersey sale will go into the UUL players’ bank. At the end of the year that 5% will be dispersed to all players. We also are creating the United Players Union. This union will have a female and male president that is part of the UUL Board. This way the players will have a voice in how the league grows. As for games, we are planning on creating a storyline video that will be released later in the week. The videos will focus on the home team and its players each week. Our goal is to create a high-quality presentation that can be marketed to a much larger audience. This will also encourage more people to purchase tickets and attend the game. It’s always better to be at a live match! With a 3:3 gender ration and 6v6, how do you think the game will look compared to 7v7 on a standard USAU field? With the 6v6 and smaller fields, we expect the game to have the same high-intensity play that the standard 7v7 brings. Last week Skyd published a fantastic article on 6v6 and I had many of the same ideas. Also, with USA Flatball, we experienced the 6v6 play and it went very well. With one of UUL’s main core values as gender equity, the 6v6 lends itself well to this format. With 7v7, you could look off a lot of open players, only throw to the 4 single gender players, but in 6v6 you’ll have to throw to the open player. With the field being shortened by a few yards, the top end speeds will become more equal as well. Those 2-3 steps can make a world of difference. Why is the UUL starting with teams in the South and Northeast? Plans for expansion? The inaugural season is set to include the entire east coast – Northeast Division includes the Boston Whalers, New York Kraken, Philadelphia Pride, and the Washington Generals. The South Division includes the Carolina Cutlass, Nashville TriStars, Atlanta Hounds, and Florida Gulls. Our goal is to expand to a Midwest Division and Pacific Northwest Division in 2020, Southwest Division in 2021, and finish with the Central Division in 2022. The UUL is going to be created with community support. Our Kickstarter is set to go live on February 1st and our goal will be $50,000 which covers the startup costs for the two East Coast Divisions. The expansion divisions timeline can be sped up with the community’s help. It will take $50,000/division to expand. So $250,000 fully funds the league for year one with all its teams. How will the UUL prove to be successful in the long term? Bluntly, how will UUL make money? The UUL will not get off the ground or survive without the initial and continued support of the ultimate community. With a Kickstarter, that gets the ball rolling, but we’ll need to continue to sell tickets to matches and earn sponsorship dollars. How do we do that? Getting butts in seats. I have purposely designed the league to help keep overhead costs low for a professional league including single stadium division matches, drivable team locations, and a shortened season. In future years, money will be made from ticket sales, merchandise, sponsorships, and youth leagues, clinics, and events. Since its inception, SAVAGE has branched out into other sports like Quidditch. What did you learn from working with those other sports that you’re applying to UUL? The UUL would not be in existence without the help of other leagues and organizations Savage has been a part of. My job at Savage is specifically to do big-picture exploring. This allows me to devote my time finding, discussing, and working closely with other sports and organizations. I’ve been a business resource for many startups and have learned what has worked and what hasn’t. Specific to Quidditch, Savage has been partners with Major League Quidditch and the Quidditch Premier League. They both are semi-pro leagues run very differently. Being a partner of them have really helped with making sure the UUL is set to succeed. Who else is on board with making this happen? How will the UUL work with local communities and youth? I was lucky enough to discuss the league with many individuals and organizations these past few months. The big ones in support include USA Ultimate, ARIA Ultimate, Friction Gloves, Upwind Ultimate and BUDA. I’ve contacted all the community organizations in each of the cities and was able to discuss with many of them at length about our goals. With a main core value of the Gender Equity, I spent a long time discussing with the Gender Equity Action Group. I wanted to make sure that I understand what the GEAG’s values are. To be honest, they asked some extremely tough questions and I had to really step back to think on things. It has made me a better human being and excited to put a league in place with their help. We have created a board member position focusing on Gender Equity and I am pleased to announce our first position being filled. That announcement will be on Tuesday. The UUL is designed to be a resource and support system for the local communities. Each UUL player will be required to donate a certain number of hours to their city’s local ultimate organization each year. The UUL will be hosting a youth clinic each Saturday morning at the host city, which will be run by the host team players. As the UUL grows, our support will continue. Our focus will be on the mixed teams and leagues in the communities. In 2019, our goal is to help the local YCC mixed teams by offering to pay their bid fees and uniforms in exchange for carrying the UUL team name and taking a UUL Gender Equity Class. What is the message you hope to send by launching this league? How will you know you’ve been successful? I have been keeping a pulse on the ultimate community and think that the UUL will be a way to put ultimate’s best foot forward to the world. I’ve tried to create a league that solves the many problems and concerns that have been voiced these past few years. I hope the message we have created will resonate with the ultimate community and win their support. A successful UUL will be a self-sufficient and profitable venture that is supported by the ultimate community as its own. But it goes beyond that—I want the league to be successful for the players, staff, and community as well, and I’m excited to hear what that means to everyone. How can people interested follow along and get involved as you move to launch in 2019? Head over to our website uulultimate.com and follow the UUL on social media. I’ll be doing an AMA on r/ultimate alongside a Facebook live Q&A on Wed. Jan. 17. Our $50,000 Kickstarter begins February 1st and we’ll need your support. Team tryouts are scheduled for late October/early November. You can sign the interest form here. We’ll be filling the UUL board in the coming months and our team staff positions. For those wishing to be a part of a the UUL, feel free to email info@uulultimate.com.